Today I’m in Surrey, British Columbia. Just south of the Fraser River is the production facility for the popular Central City Brewers and Distillers. They started out small, as a brewpub in 2003 but have rapidly expanded to the size they are today. I sat down with their brewmaster and part-owner Gary Lohin. 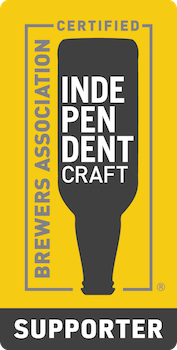 October is BC Craft Beer Month and the highlight is the BC Beer Awards. All of the British Columbia brewing industry comes together to celebrate BC Craft Beer. Hearthstone Brewery is located in North Vancouver, BC where they have been brewing up some innovative craft beers since opening in 2014. Pairing perfectly with this brewery is their “Tap & Forno” restaurant next door which not only serves their brews fresh on tap but also features some great pizzas made in a custom pizza oven. I first sit down with Darren Hollett for the story behind Hearthstone Brewery, then with brewmaster George Woods about their beers. What if all your favorite breweries were on the same street? Well, that's exactly what has happened in Port Moody, BC. The zoning of the municipality has created a unique situation where all the breweries are located on Murray Street. There are four breweries situated on this street, which has earned it the nickname of "Brewers Row." In this episode I'm featuring Yellow Dog Brewing & Moody Ales. I’m in Chemainus, BC on Vancouver Island at a brewing that took over seven years to open their doors. There is a lot behind the story of Riot Brewing Co. so I spoke with two of the founders, Aly Tomlin & Ralf Rosenke.